In 2015 I made a big push to publish more on this blog, and succeeded in publishing nearly four times as often as I had in 2014. 2016 continued the trend strongly. As of this writing, I’ve published 72 articles this year — and increase of 9 percent over 2015. I think it’s worth noting that I actually published several more things related to Expired Film Day which have moved over to a separate website. I launched ExpiredFilmDay.com as its own site in early October and made it a hub for all things Expired Film Day. Shortly after the new year begins, expect to see an announcement about the 2017 event. 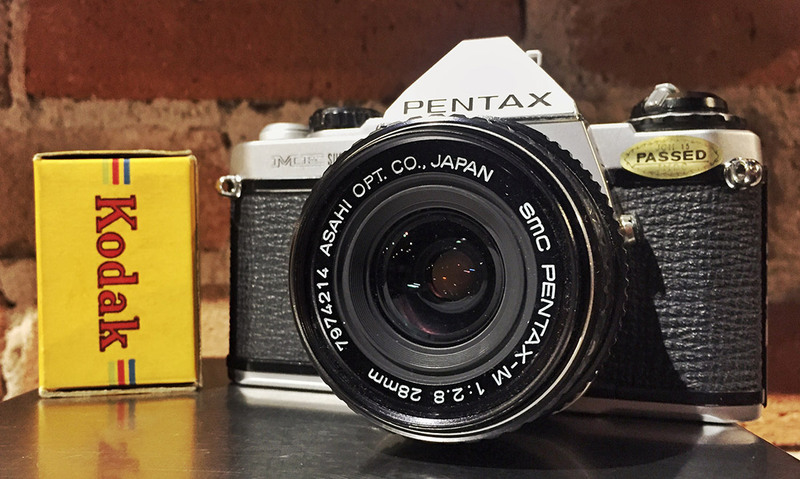 Also in 2016 I published my massive review of the Pentax 6×7 system, which has performed phenomenally. It hasn’t topped my Nikon FM2n review yet, but it has already become the 4th most popular article of all time on my site. At the rate it’s gaining, the 6×7 may overtake the FM2n by the end of next year. Looking at the most popular overall articles on my site during 2016 there are a lot of familiar faces from my 2015 year in review post, although two 2016 stories crept into the list. Additionally, there are considerably fewer posts dating back to 2012 and 2013 — which indicates to me that both the quality and usefulness of my stories is improving over time. Good placement in Google search results continues to drive the bulk of the traffic to my older reviews, and camera reviews remain the most popular type of content on my site overall. I was surprised to see the Mamiya ZE-2 review perform so well, although it has had all year to get there, having been published on Jan. 9. Olympus camera reviews remain popular, as well. Instead of looking at the overall top posts, I prefer to look at the top posts published this year. Obviously, stories published earlier in the year have an advantage because it takes time for Google to discover and place my reviews in search results, and they tend to move up slowly over time, and since most of my reviews receive a steady trickle of traffic after the initial spike that follows publication (the long tail effect), more days since publication usually means more traffic. I’m not at all surprised to see the Pentax 6×7 in the top slot. 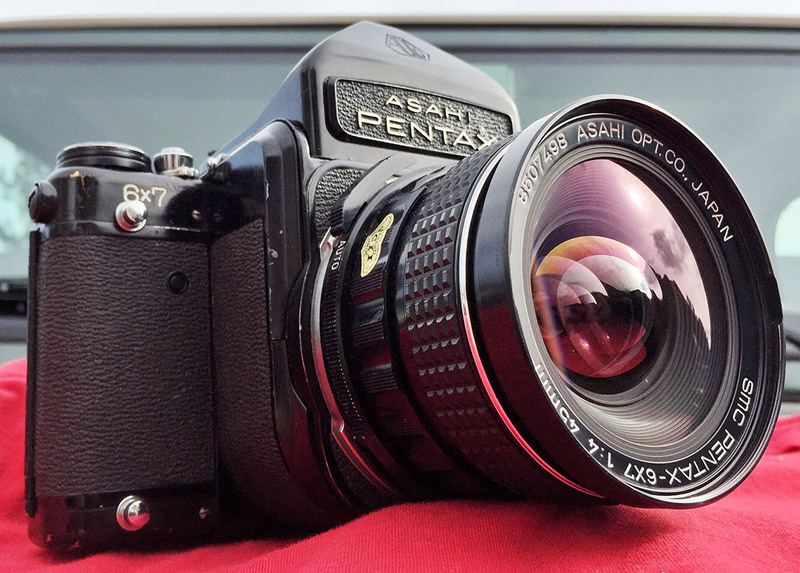 It has recently surpassed the Nikon FM2n review in average daily traffic, and my tests indicate it’s one of the top Google search results for several related search terms. Considering the level of detail, which surpassed the Nikon review and anything I’d previously published here, I’m glad it’s proving useful for readers. The Petri 7 post is a bit of a surprise; there are lots of Petri resources on the internet already, and the 7s is far more common than the earlier 7. Perhaps that difference is somewhat responsible for the popularity of the post. The Trip 35 and K1000 both achieved cult status long before I started writing about cameras, so they make complete sense. 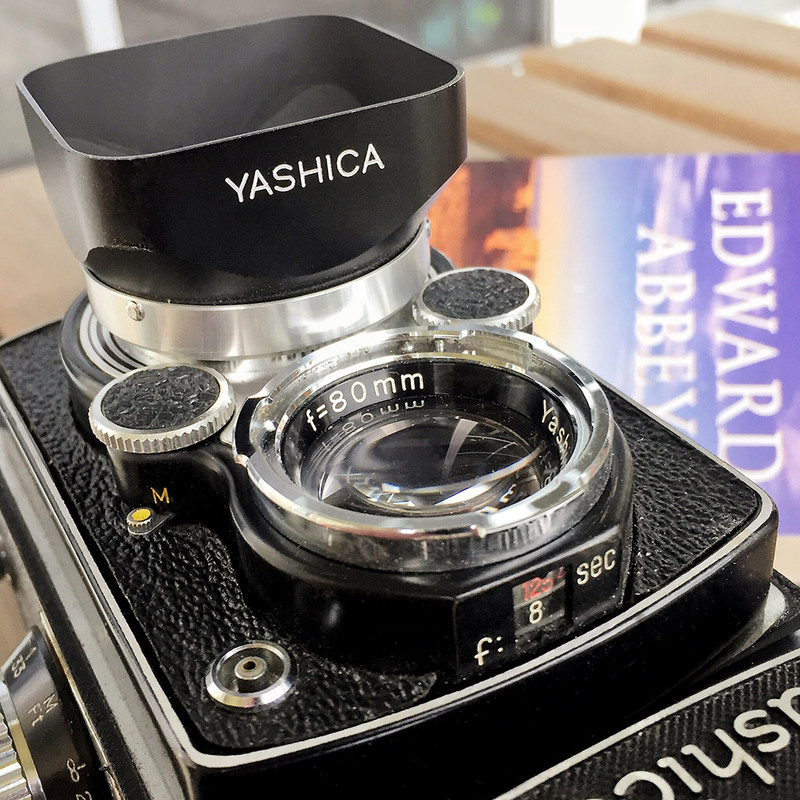 The Yashica-Mat was a fairly in-depth review, and is one of my favorite cameras in my entire collection. I considered waiting on it to do a truly massive “a year with” post, but scrapped that plan because I just couldn’t wait to gush about my favorite Yashica TLR. The Ilford HP5+ single-use camera was an unexpected success. I likely wouldn’t have tried them out without the nudge from the No Gear No Fear Challenge, but I wound up being really impressed. I was just trying to learn all I could about the camera in preparation for the challenge when I realized that there was really very little technical information available out there. I shouldn’t have been surprised, given it’s a single-use camera; what reason does anyone have to really get into those details? I wanted to know in advance the likelihood of success or failure before attempting to use a Nikon R60 red filter taped over the lens, though. Seeing the Nikon N70 — a cheap, plastic piece of junk, basically — beat out the Pentax ME Super — my dad’s camera, and a really good one at that — is fairly disappointing, especially considering how much more time the Pentax has had to catch up. I can only assume the cachet of the Nikon name beat out poor Pentax, whose name has been all-but-irrelevant photographically for nearly a decade. The last post, my take on the always-raging film vs. digital war, wasn’t a strong success overall. Frankly, I expected more from it. On the other hand, I think my position is rather uncontroversial, which might’ve hurt me. If I’d spent more time hating on digital, or shilling for film above all else, maybe I would’ve seen more traffic. As it is, I’m happy people read it. It’s been a spectacularly successful year for my site, and I’ve had a lot of fun writing all these posts. I’ve got lots more in store for 2017. I better have if I hope to keep up the trend in web traffic. In 2015 my traffic doubled year-over-year by a slim margin; 2016 is on track to beat 2015 by nearly 150 percent. To all my regular readers (and anyone who made it this far): THANK YOU for clicking over and poking around; I sincerely appreciate it.